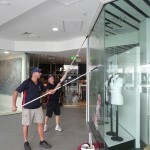 Shop front window cleaning is important to our business at All Clear Windows. 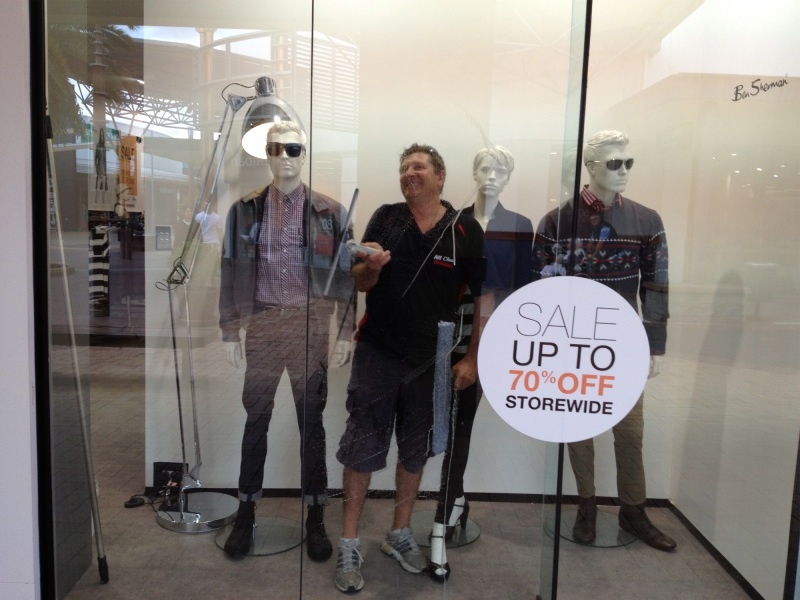 We operate in all the main Gold Coast shopping centres and suburbs. We currently clean shops at Harbour Town at Biggera Waters, Homeworld at Helensvale, Runaway Bay Shopping Centre, Hope Island Marina, Australia Fair Southport, Pacific Fair Broadbeach, Robina Town Centre, Stocklands Burleigh Heads, Oracle shopping precinct at Broadbeach, Circle on Cavill in Surfers Paradise, High Street at the Sufers Paradise Hilton, Soul shopping precinct Surfers Paradise, Marina Mirage Main Beach and Q1 retail. 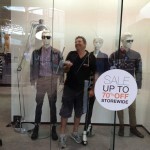 Retail shop fronts are a way for businesses to highlight the merchandise they sell. Pacific Fair is going through a $670 million redevelopment that started in January 2014 with a completion date around June 2016 creating an additional 120 stores bringing the total to around 420 including a new Big W, David Jones, Woolworths and 1300 new carparks. We are looking forward to servicing as many new shops as the redevelopment progresses. A $20-MILLION redevelopment of Harbour Town will see an increase in car spaces, helping ease customer frustrations. Construction began at the Biggera Waters outlet shopping centre earlier this week to create 25 new shops as well as the new parking area. The former Bunnings building to the west of the centre has been demolished to make way for 400 new parking bays. We service the surrounding areas to all the centres mentioned. We are in these centres on a regular basis usually weekly and can provide competitive prices. We are a local company not a national company. National companies are notorious for using subcontractors who often subcontract again to cleaners who are not fully insured. We are sometimes contracted by some national companies but we are fully insured. All of our staff are employed, uniformed, OH&S compliant and fully insured NOT subcontractors. 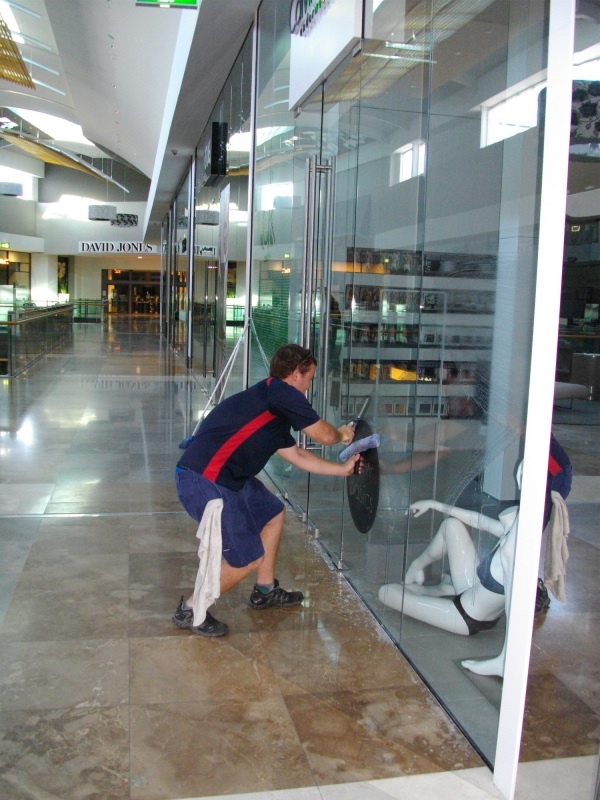 We are available at short notice and happy to do inside window cleans, clean mirrors, sticky tape removal and signs. We are happy to help you work out a cleaning schedule to suit your needs and budget. Weekly, fortnightly, monthly cleans depending on your situation. When you call us for a quote you can expect an immediate response and know we have $20 million dollars public liability insurance and all staff are covered by work cover.